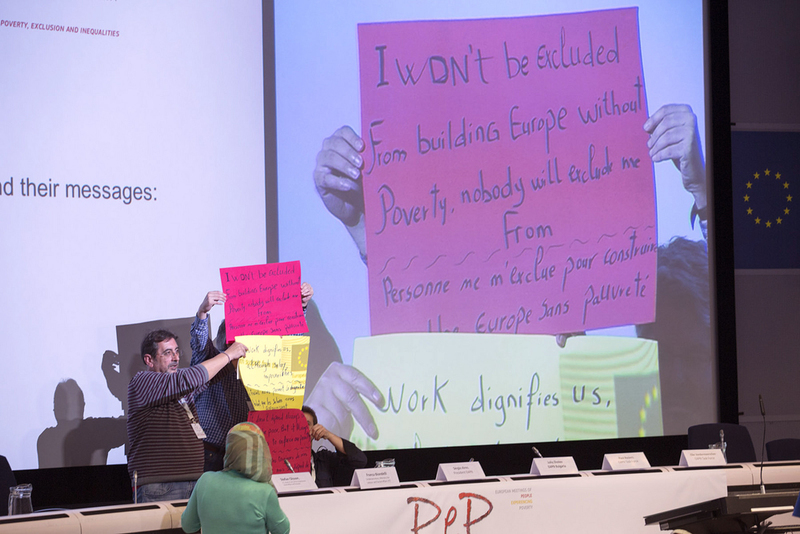 The European Anti-Poverty Network (EAPN) is the largest European network of national, regional and local networks, involving anti-poverty NGOs and grassroot groups as well as European Organisations, active in the fight against poverty and social exclusion. It was established in 1990. At present, EAPN is a network of 31 national networks of voluntary organisations and grassroots groups and 13 European organisations. See our members‘ page. The membership of EAPN is involved in a variety of activities aimed at combating poverty and social exclusion including, education and training activities, service provision and activities aimed at the participation and empowerment of people experiencing poverty and social exclusion. Our work is carried out by our members, split into specific statutory entities and task forces. These groups feed into our European level work their national perspectives, individual expertise or the specific focus of the European organisation they are affiliated to. See here structures of EAPN. To lobby for and with people and groups facing poverty and social exclusion. EAPN includes the objectives of gender equality and non discrimination in all its areas of work. EAPN includes the objectives of gender equality and non discrimination in all its areas of work. It is unacceptable that over 118 million people are living in or at risk of poverty and social exclusion of in the European Union. We are committed to the eradication of poverty and aim to put the fight against poverty and social exclusion at the top of the political agenda of the EU. We are working for a Social Europe free of poverty and social exclusion with access to economic, social and cultural rights for all. and the meaningful participation -through the organisations in which they participate- of people experiencing poverty and social exclusion. arise from complex and multidimensional processes that cannot be dealt with in isolation or on the margins. in the independence of Non Governmental Organisations (NGOs).